The eighteenth century building has an elevator that leads you up to the third floor (note that there are a few steps to climb before reaching the elevator). The apartment stands on three levels. At the entrance you have a private staircase that leads you to the second level where there is the living room, two bedrooms, two bathrooms, the kitchen, and two terraces. 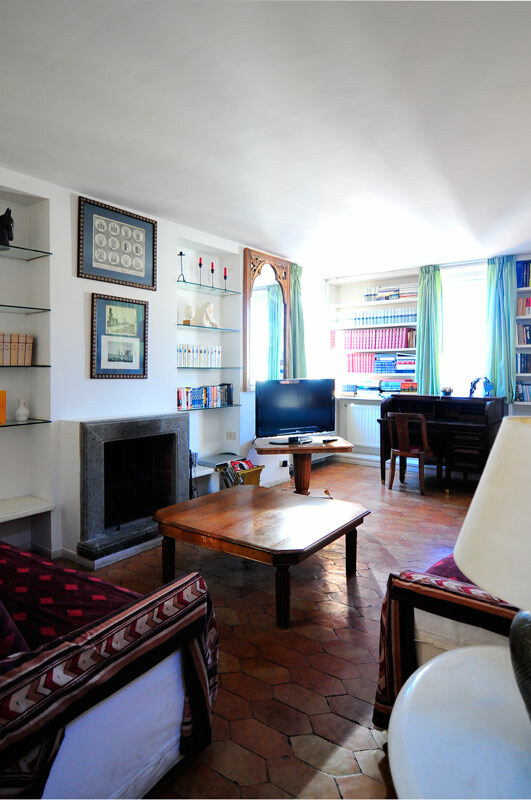 The living area features two white sofas (one of which is a sofa bed) in front of the decorative fireplace which sits between two stylish glass bookshelves. 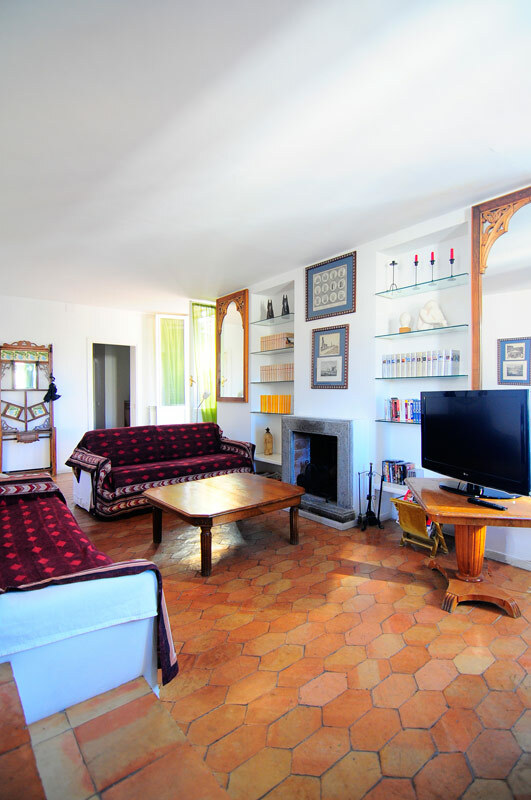 You’ll also find a wooden coffee table, a flat 32″ TV, an antique desk, a wooden shelf, and a wooden dining table with chairs. The living room overlooks the large furnished terrace with views. 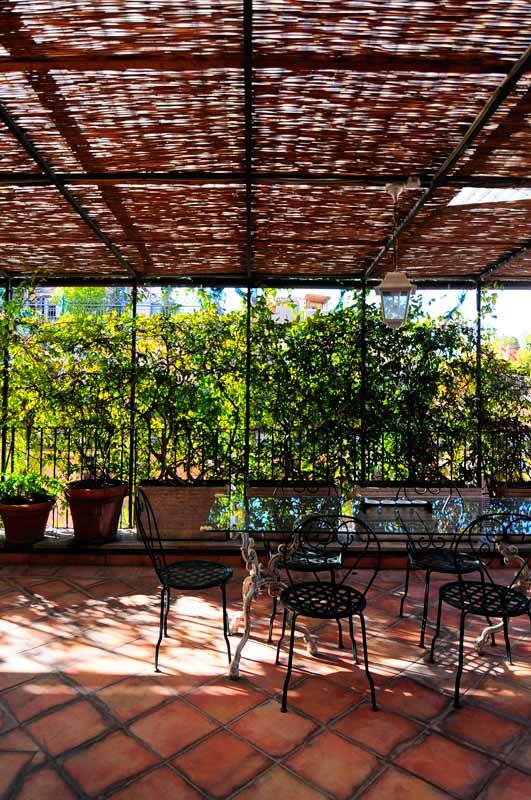 The terrace features a glass dining table with iron chairs and two comfortable sofas. 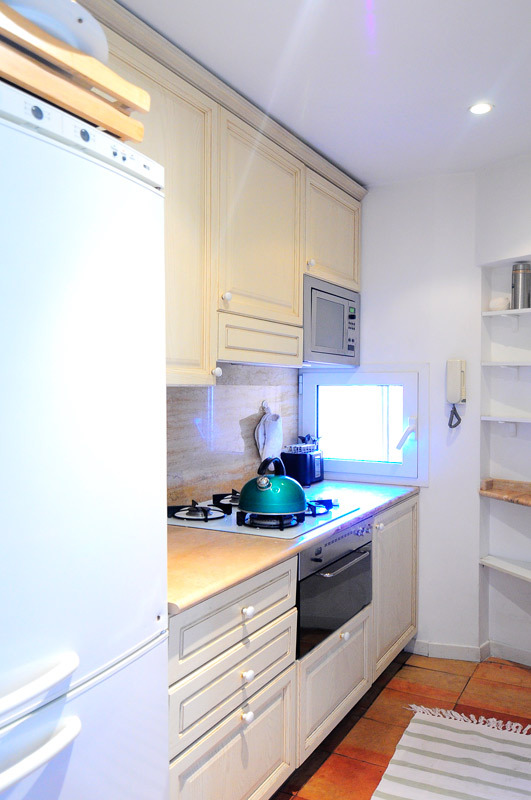 The fully equipped kitchen comes complete with a gas stove, an oven, a microwave, a fridge, a freezer, a toaster, and American and Italian coffee machines. 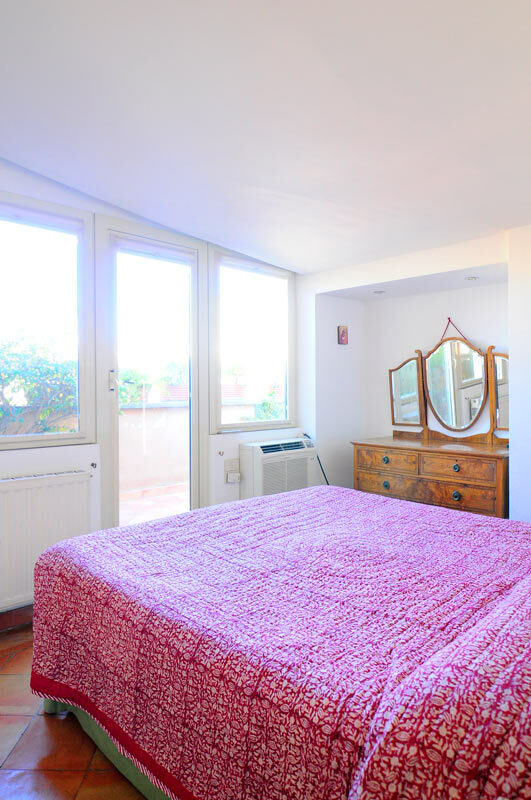 The single bedroom has a single bed, lamps and a mirror. 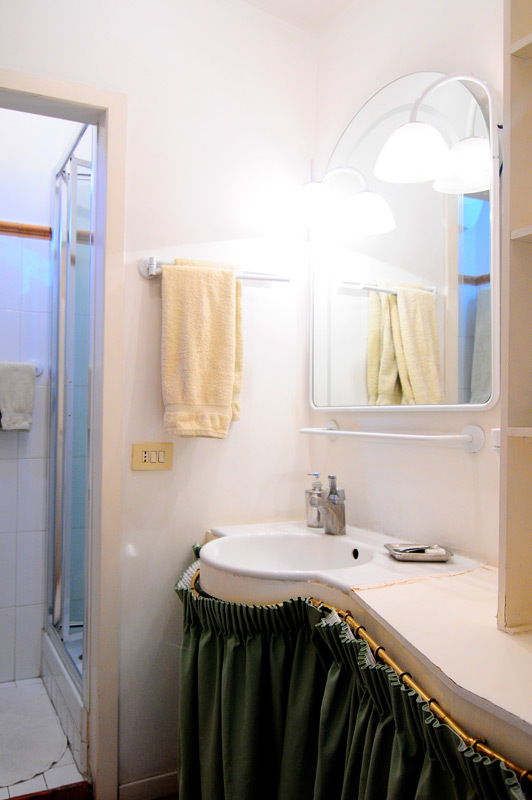 Next to it, there’s a bathroom with a shower as well as a laundry room. 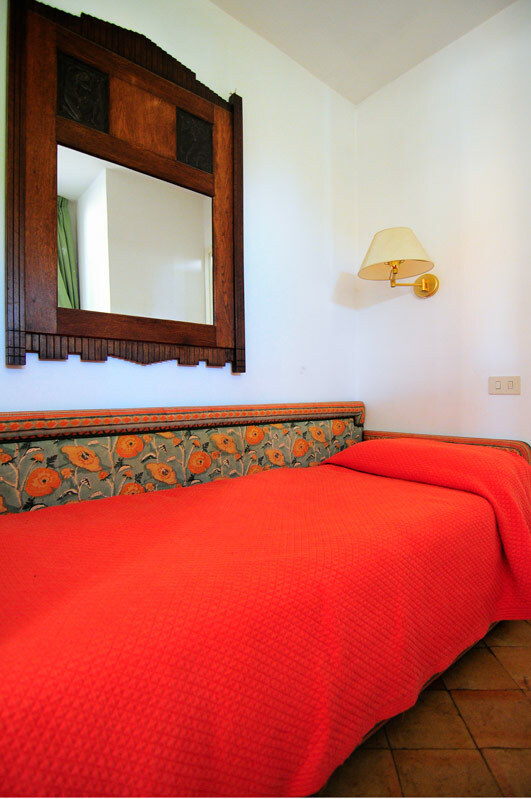 The master bedroom has a comfortable Sicilian style king size bed with night tables, lamps, a wooden dresser and closets. 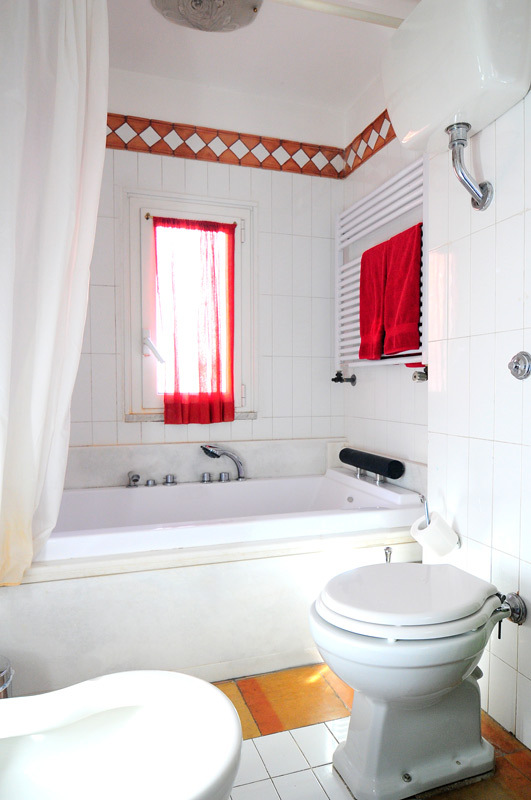 Its en-suite bathroom is equipped with a bathtub. 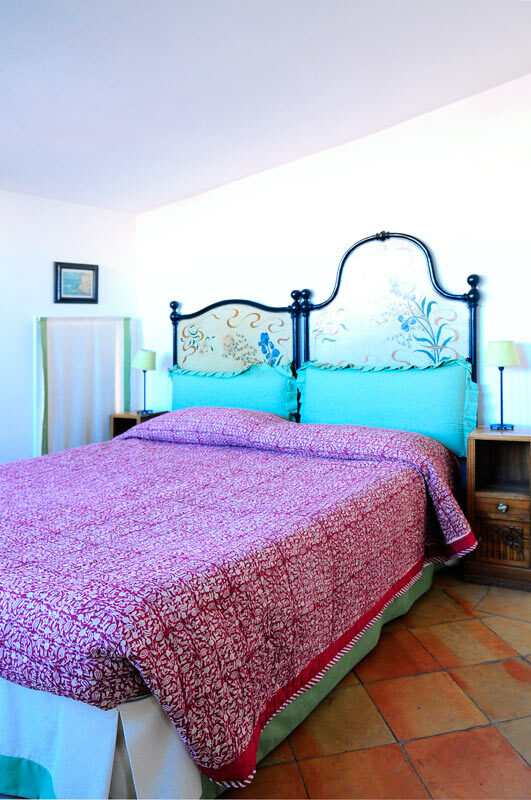 The master bedroom has a direct access to the romantic second terrace. 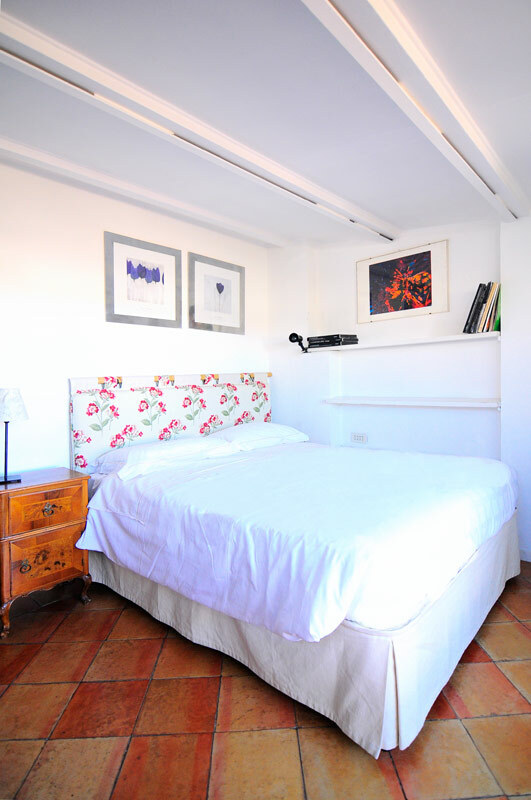 On the third level, you’ll find a second bedroom with a king size bed, night tables, night lamps, and an en-suite bathroom with a shower.This room also has a private terrace with enchanting views over the San Carlo’s and San Pietro’s cupolas. 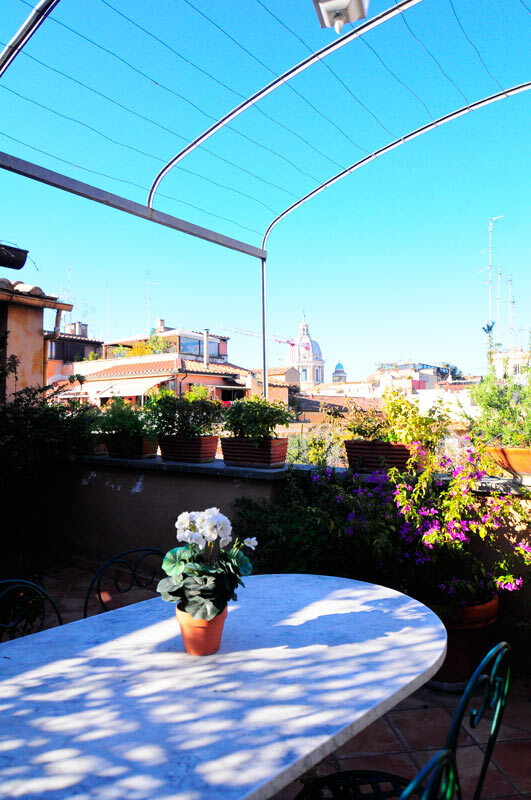 We recommend this gorgeous apartment with views over Rome to families and a large group of friends alike. 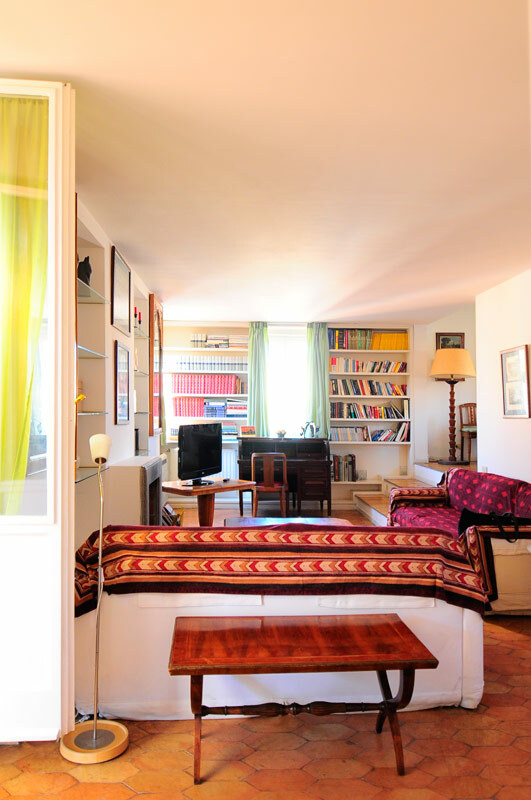 This apartment lies in a great location, right at the heart of the historical center. 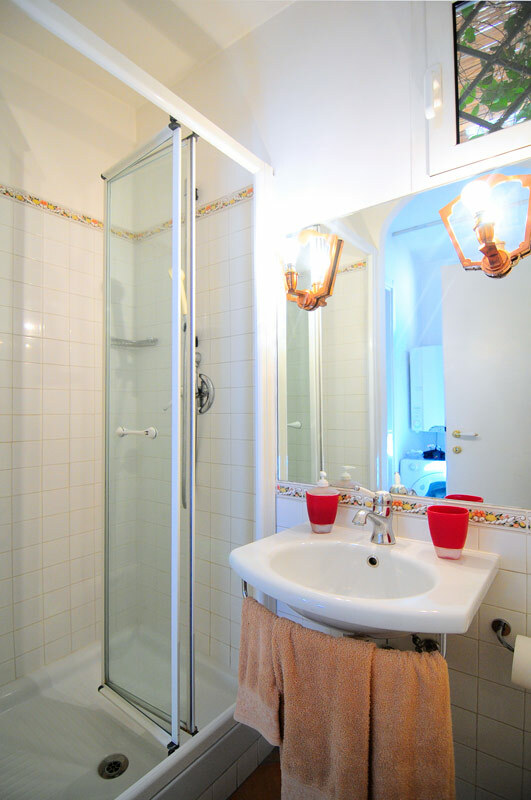 Within walking distance you will find major sites such as the Trevi Fountain, Pantheon, Spanish Steps and Piazza del Popolo. 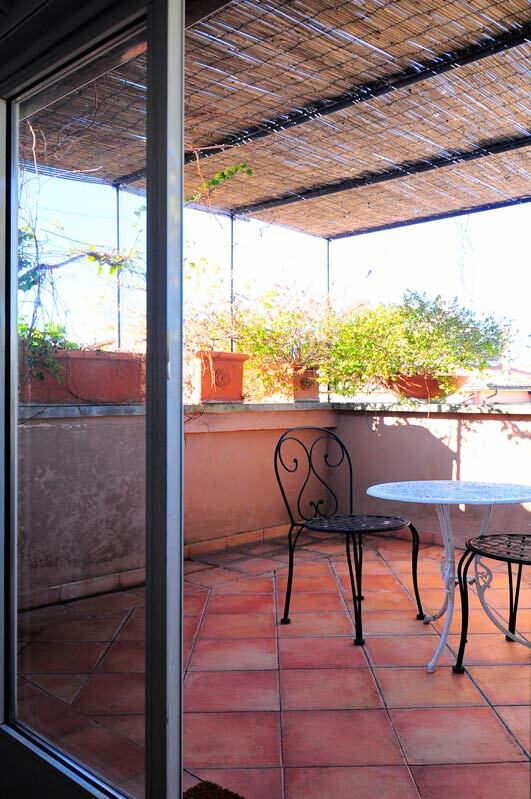 What is more, you are very close to the Spagna Metro station. This can take you all the way to the Vatican in one direction, and Termini in the other. From the latter you can take the Metro B (direction Laurina) through to the Colosseum. We would also recommend continuing to the Circo Massimo stop. 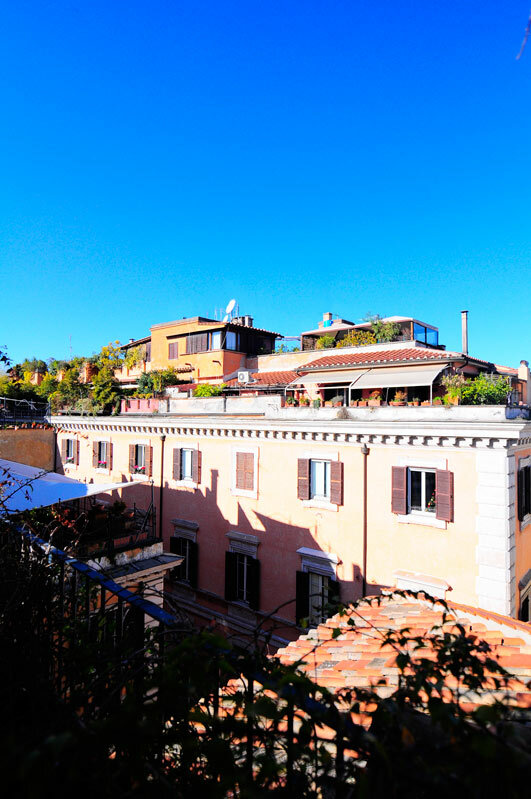 From here you can very easily climb to the Giardino degli Aranci, one of Rome’s most picturesque gardens. 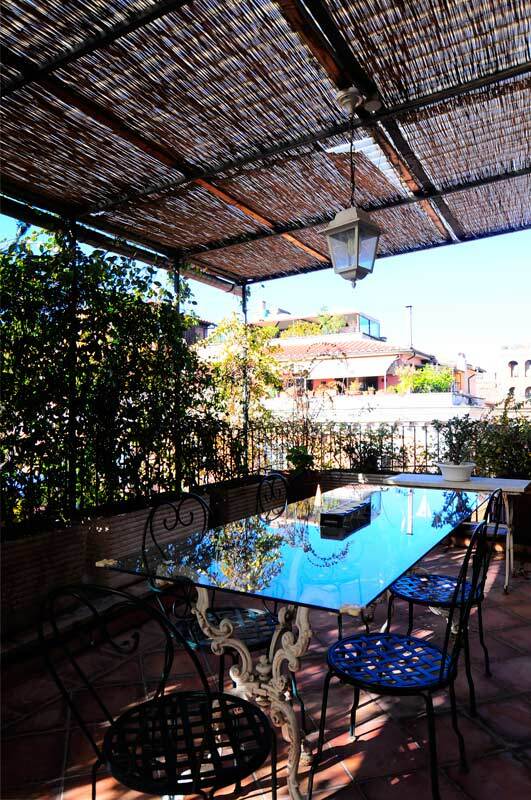 It also has a great view over the Tiber and Trastevere. 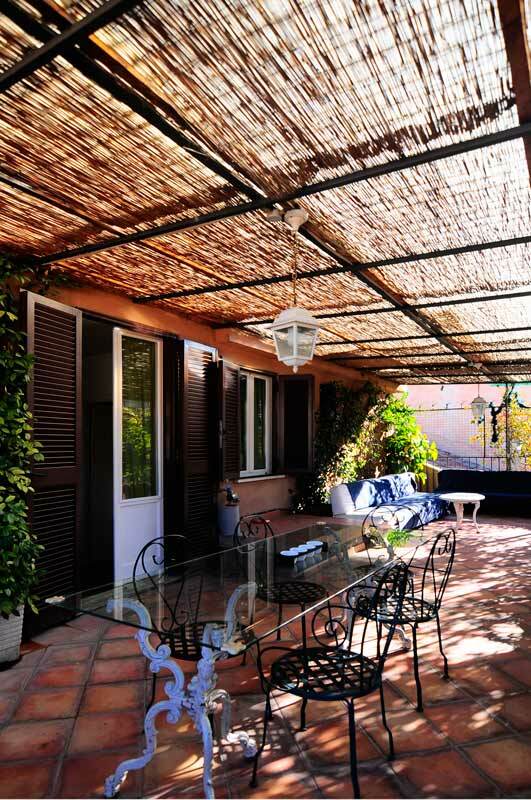 The Spagna area is also known for its superb shopping facilities. Around you, you will find the very best of Italian luxury. Brands such as Valentino, Gucci, Prada, Alberta Ferretti and Missoni all call this district home. This makes for some wonderful window shopping, if not some much needed retail therapy. The restaurants and bars of this quarter are equally elegant and offer delicious meals in refined and stylish atmospheres. This was the second time I stayed in this apartment. This time I was with my husband, daughter, son-in-law, and grandson. The apartment was perfect for us because my husband and I could be somewhat separate in the upstairs bedroom. 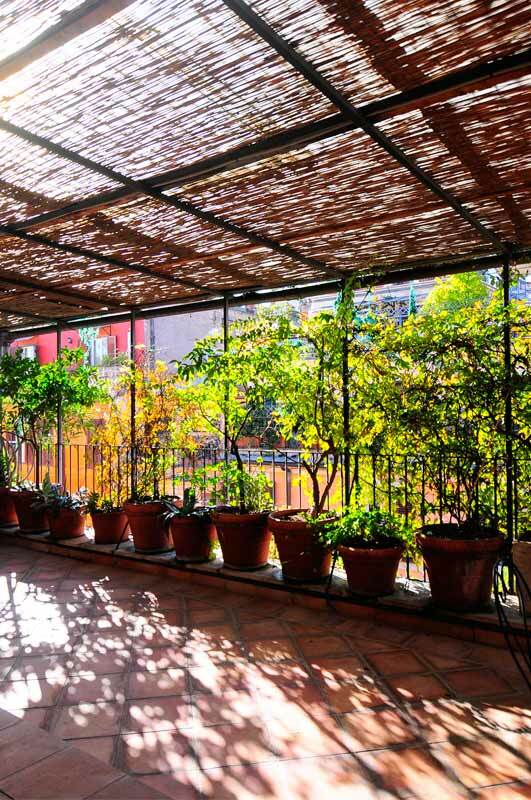 We could not enjoy the terraces because it was winter, but last time, we ate outside. The furnishings are worn bu...Read Moret comfortable. Although the apartment is not modern or in perfect condition, it feels homey and warm.